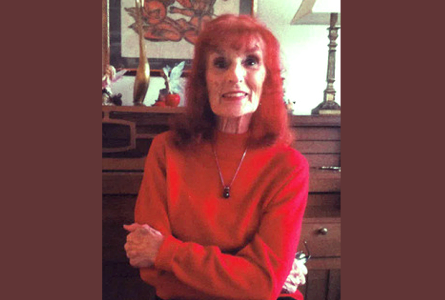 Jeannette Ertelt, age 93, of Valley City, ND, formerly of New York City, NY, died Friday, July 6th at Mercy Hospital in Valley City. A funeral mass will be celebrated at 10:30 AM on Saturday, July 14th at St. Catherine’s Catholic Church in Valley City. Visitation will be held on Friday, July 13th from 5:00 PM until 7:00 PM at the Lerud Mathias Funeral Home Chapel. Interment will be in St. Catherine’s Catholic Cemetery, Valley City, ND. Jeannette Rose Ertelt, the daughter of Edward and Rose (Athman) Ertelt, was born October 10, 1924 on the family farm near Valley City, ND. Jeannette grew up and attended and attended St. Catherine’s Catholic School in Valley City. Jeannette was a tomboy preferring the companionship of her brother Roman to her sisters. She preferred to do outdoor chores over the household chores considered women’s work at that time. Jeannette left her family farm to pursue her love of acting. She studied at the Cornish School of Acting in Seattle and then earned her BFA degree in Acting and Directing at the Goodman Memorial Theatre in Chicago. While there she played the title role in “Medea”, among many major roles, and was awarded the Chicago Drama League Scholarship for her dramatic work. In 1969 and 1970, she was part of the avant-garde theater movement in New York City, performing in “Futz” with the famous La Mama Troupe, under the direction of Tom O’ Horgan. Jeannette also acted in the famous Spearfish, SD Passion Play and toured the United States with the group in the winters. Jeannette us survived by her siblings, Roman Ertelt, Mary Ann Stack, Dorothy Stangler and Joan Olson; 21 nieces and nephews who loved and adored her. Jeanette was preceded in death by her parents, one sister, Bernadine “Bunny” Potter, brothers-in-law, Francis Potter, Morley Stack, Gerald Stangler and Glen Olson; one sister-in-law, Doris “Leddy” Ertelt.